Office 365 groups span over various Office 365 services and provide a great way for collaborating. By default, every user can create an Office 365 group. While self-service is a good thing and many businesses adopted into that direction, some companies still prefer the controlled approach. This is part 1 of a 3 part series. This article series was written by Martina Grom and Toni Pohl. For showing all the technics behind that requirement we developed a demo scenario showing all necessary steps. 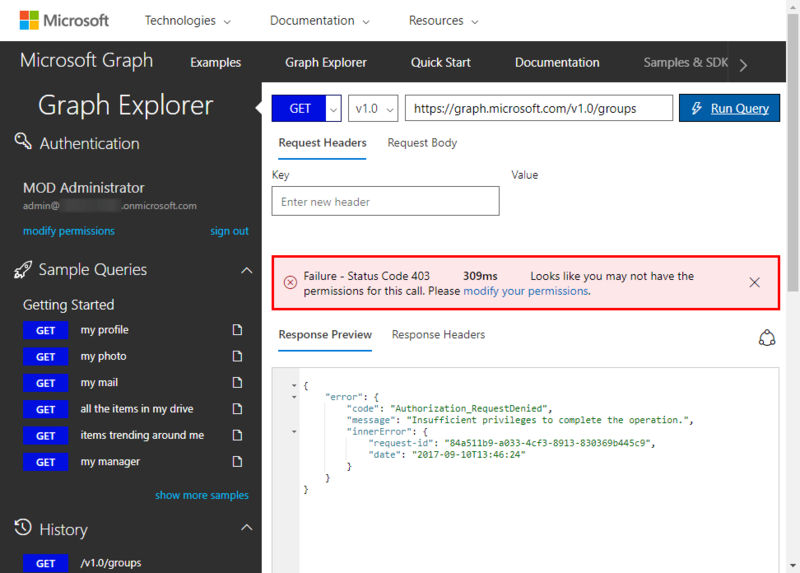 You need to have a SharePoint Administrator, a Flow license and an Azure subscription and some basic knowledge about web technologies. There are some steps required, but the process is simple. Follow these steps to get your solution up and running. The following graphics delivers the planned steps for the approval workflow. The blue steps require a user interaction, the orange ones are automatic processes. Green and red show an accept or deny decision. 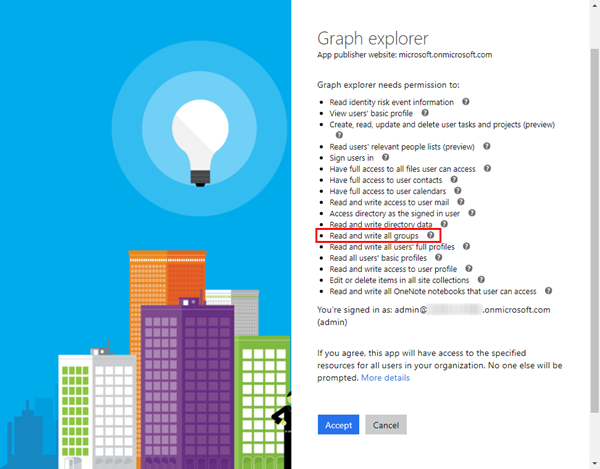 If a user requests to create an Office 365 group (which can be requested f.e. 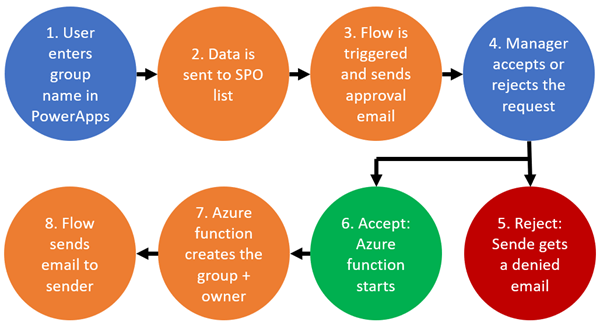 in a PowerApp or in a SharePoint list) and it gets accepted, the function provisions the group and the initiator gets a notification email. In this sample, we start with the base part that does the work: provisioning the Office 365 group, first as a demo, then in part two the code follows. 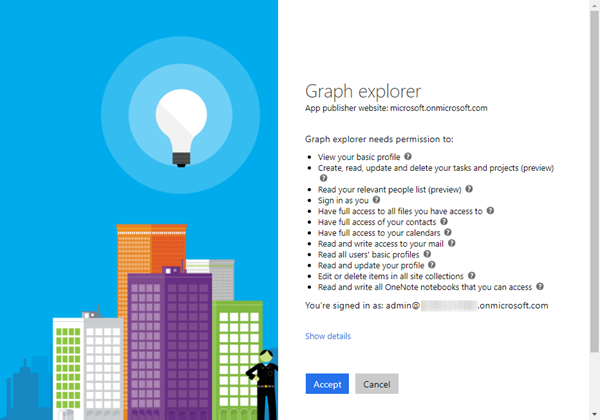 Open developer.microsoft.com/graph/graph-explorer, sign in and accept the consent for the Microsoft Graph App. If you get an error as here, your account (even if it’s the global administrator) does not have the necessary permissions. The error says "Authorization_RequestDenied", and "Insufficient privileges to complete the operation." You need to modify the permissions. Open the link in the red message box (or on the left below your account). 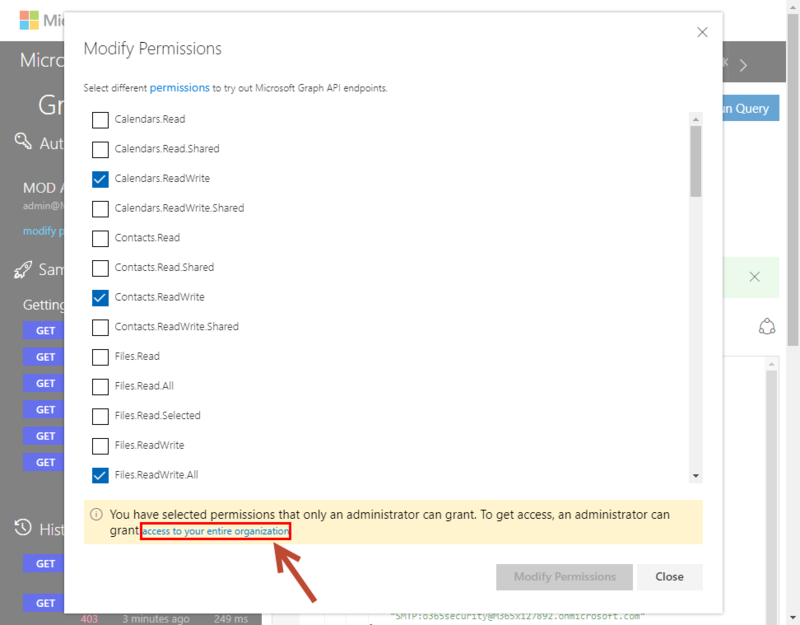 In the Modify Permissions dialog, click "access to your entire organization" and confirm the "Modify Permissions" button. 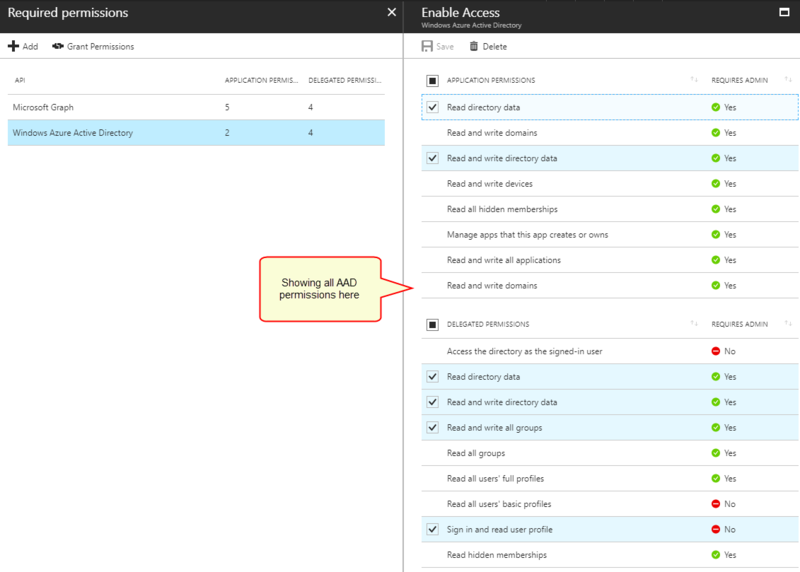 Alternatively, you can add the required permissions "Read and write all groups" manually. Then, sign in again (which happens automatically that you get redirected to the login page again). Now, you get a new consent with all possible permissions. Accept the new consent for your organization. 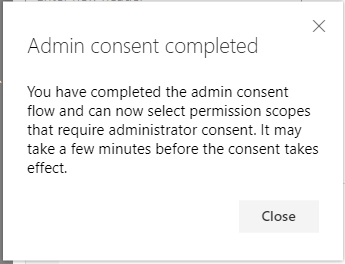 Another box informs about the newly granted permissions, and yes, it can take some minutes before the consent takes effect, but mostly it works instantly. We’re done with the permissions for our administrator user. For Graph, these permissions have been set. We hope, this clarifies the permissions. 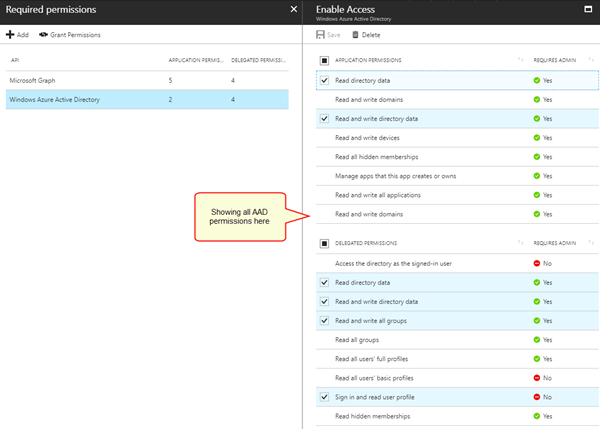 Ok, now we should be able to use the API for Office 365 groups. For our demo, we are using Microsoft Graph API version 1.0 (which is the current version). The next attempt against https://graph.microsoft.com/v1.0/groups works as expected: We get all groups of the tenant - which is one single existing Office 365 group in our sample. For a list of more OData options, see Use query parameters to customize responses and Supported queries, filters, and paging options | Graph API concepts. You should get a HTTP status code 201 (which means Ok, the request has been fulfilled and has resulted in one or more new resources being created.) and the runtime of the operation and some output. 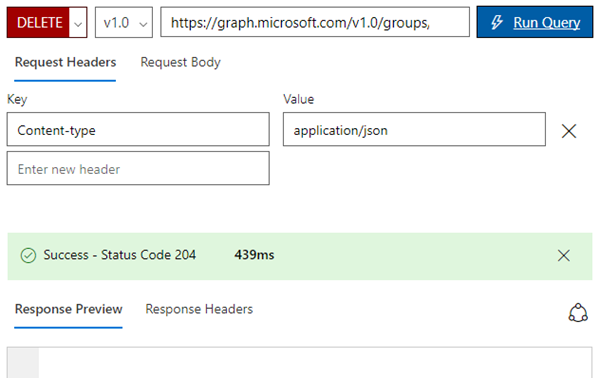 To see, what properties can be used for a POST operation and what properties are read only check out the list at group resource type. When we create a new group with the Global Administrator with Graph Explorer, that user is automatically owner of the new group which is fine. If we do it (in part 2) with an app, there is no owner set. This means, that the user who requested the new group will not be able to access or to manage it. So, it's essential, that we are able to set the owner of a group programmatically as well. The owner now can fully manage the group container object. Of course, we can use PowerShell as well. First, we connect to Exchange Online. To see a list of all existing Office 365 groups, use Get-UnifiedGroup. The group gets provisioned in the same way as before with the Microsoft Graph API. 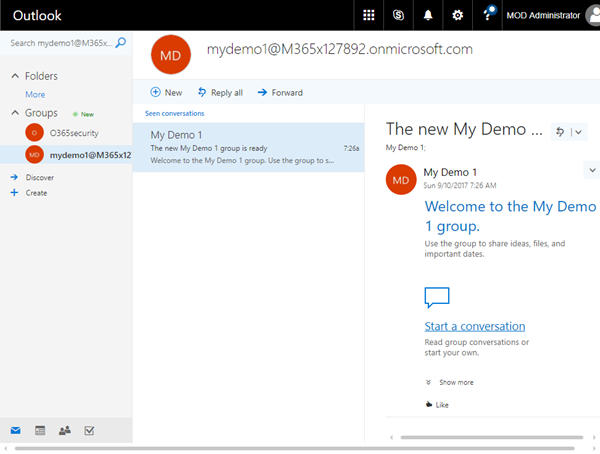 Open https://outlook.office.com/ and discover the modern groups. "My Demo 1" should show up in the list of Office 365 groups. It worked! The mail nickname is the email address with the primary domain defined in that Office 365 tenant. The email address can be changed later with PowerShell. To do that, see the details at Why we moved away from Exchange distribution groups to Office 365 groups and "Setting custom email addresses for the Office 365 group". To access one specific group, we can filter that easily: To identify one group, the ID is added to the request. 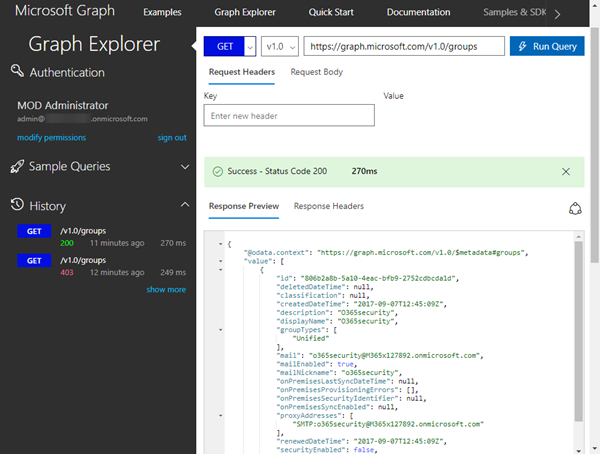 So you can get the ID from the Graph Explorer Request above. …and we get just this group. Now, deleting that specific group is easy. The HTTP operation is changed to DELETE. 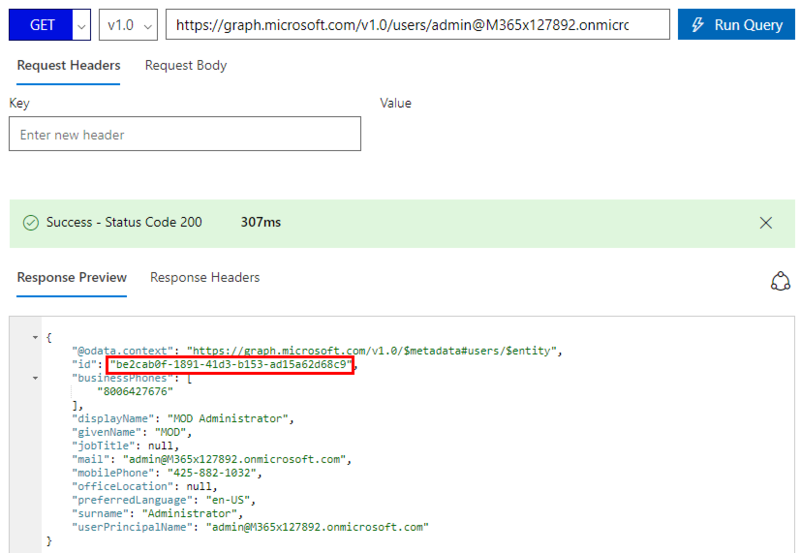 When the query is executed, it delivers HTTP status code 204 (The server has successfully fulfilled the request and that there is no additional content to send in the response payload body). The group has been deleted and should no longer be present in Outlook. as described in Restore a deleted Office 365 Group. 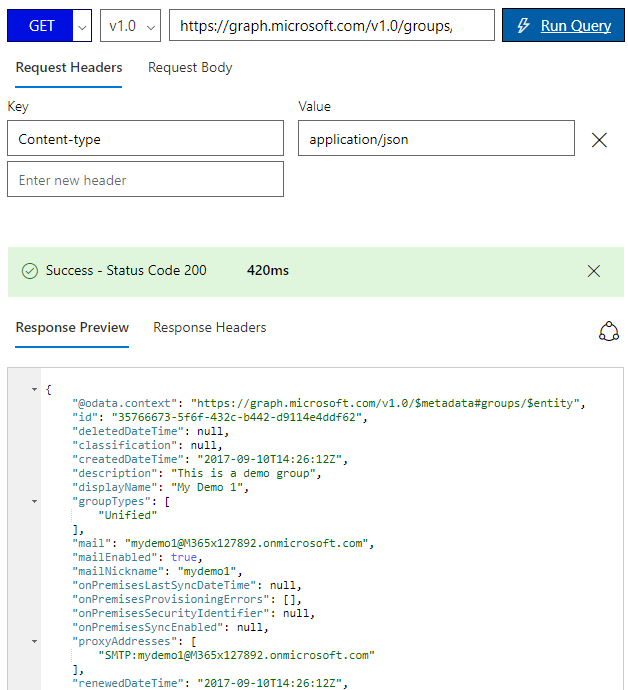 As we have seen, you can use tools as CURL, Fiddler, Postman, PowerShell or similar or any other programming language as C# to manage Office 365 groups programmatically. In part two, we develop the code for our planned automation.